Help Wanted: School counselors prevent violence, so why aren't there more on U.S., Texas campuses? Proven to help prevent violence in schools that gets too little attention...school counselors. Gun control, metal detectors and arming teachers. These are the go-to topics after school shootings. 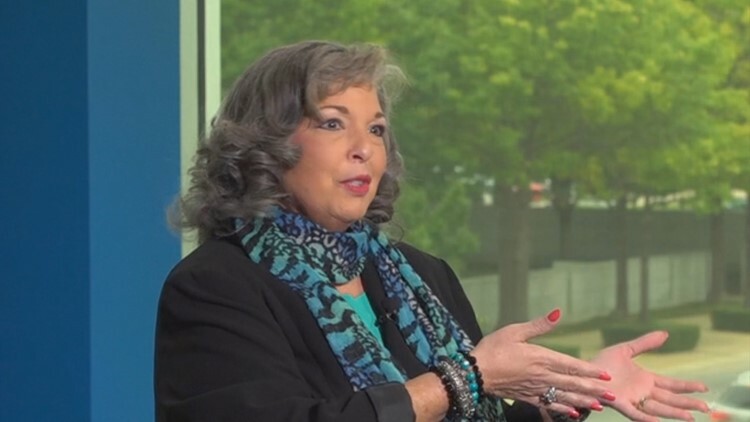 But a nationwide TEGNA investigation has found that there is something else much less controversial that is proven to help prevent violence in schools that gets too little attention. We’re talking about school counselors. Or rather, the lack of them across the country. FOR MORE ON OUR NATIONWIDE INVESTIGATION, click here. 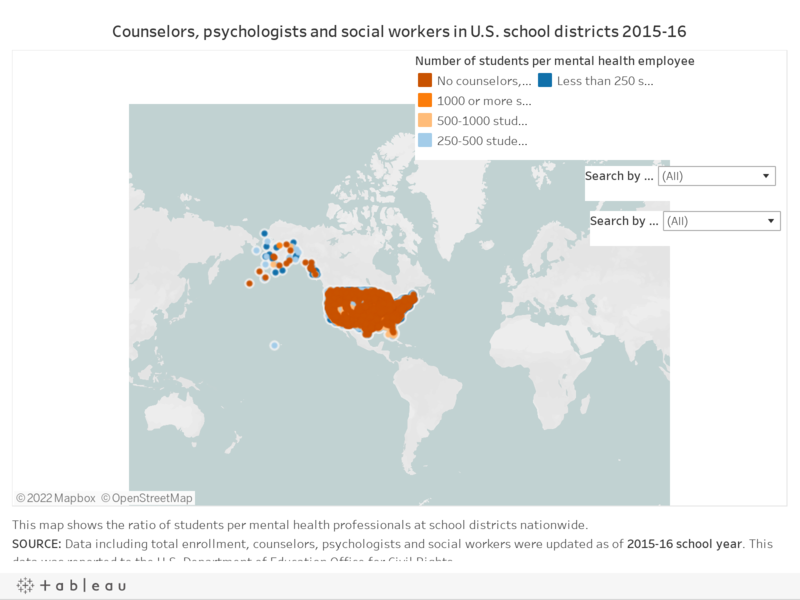 According to 2015-2015 data, the latest from the Department of Education, one in five school districts in the United States don’t have any counselors at all. In North Texas, that number is about one in eight districts. That means 37,291 North Texas students are attending schools without a single counselor to help identify risky behavior. Aaron Stark wishes a counselor would have intervened in his life. Stark, now a father and husband, is fine now, but he wasn’t always. 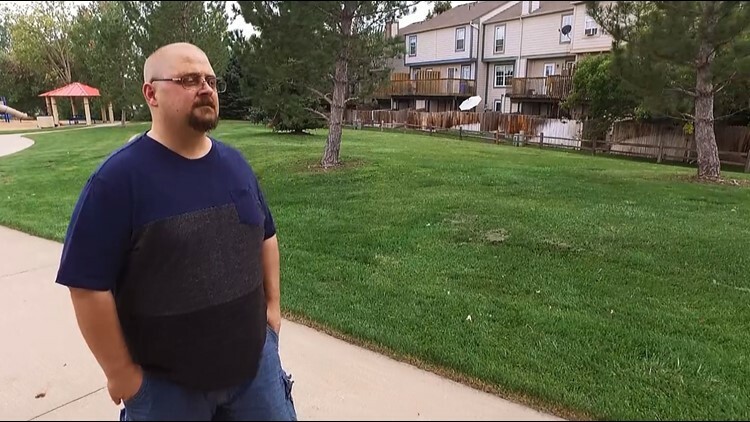 He said in the mid-90s in Colorado – long before Columbine – he longed to lash out. He said he tried getting help at school, but no counselors were available. "If I would've had someone who would've listened to me, I would've ran in there and told them everything,” he said. “I never felt like I could be heard." 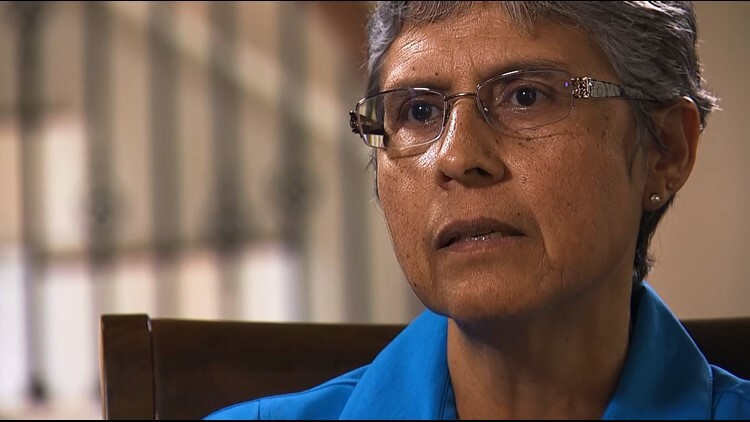 For many decades in Texas public schools, Diana Villarreal was that someone. “His drawings were of guns and shooting people,” the retired counselor recalled about a trouble sophomore she worked with years ago. According to the American School Counselors Association, 31 states require high schools to have counselors on campus. 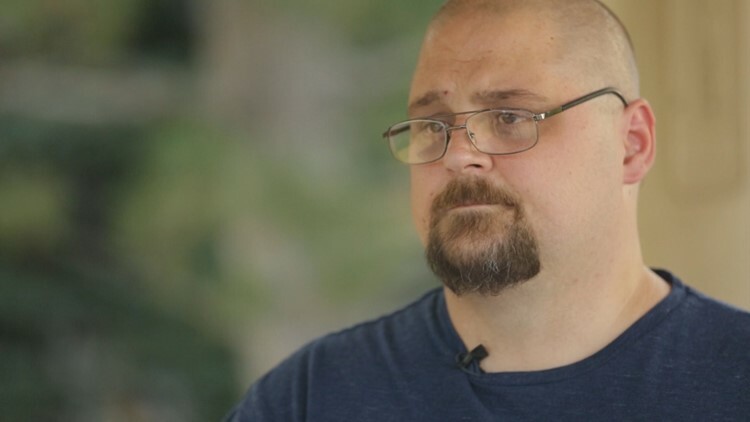 “Every day that we don't offer these kids someone to talk to is another day that they are wallowing in their pain and possibly reaching that edge of violence,” Stark said. That’s why the ASCA recommends a 1:250 counselor-to-student ratio in schools. Most U.S. schools don’t meet that. More than 92 percent of North Texas schools have fewer counselors than recommended, according to the latest federal Education Department data. She said the lack of counselors across the country is only half the problem. 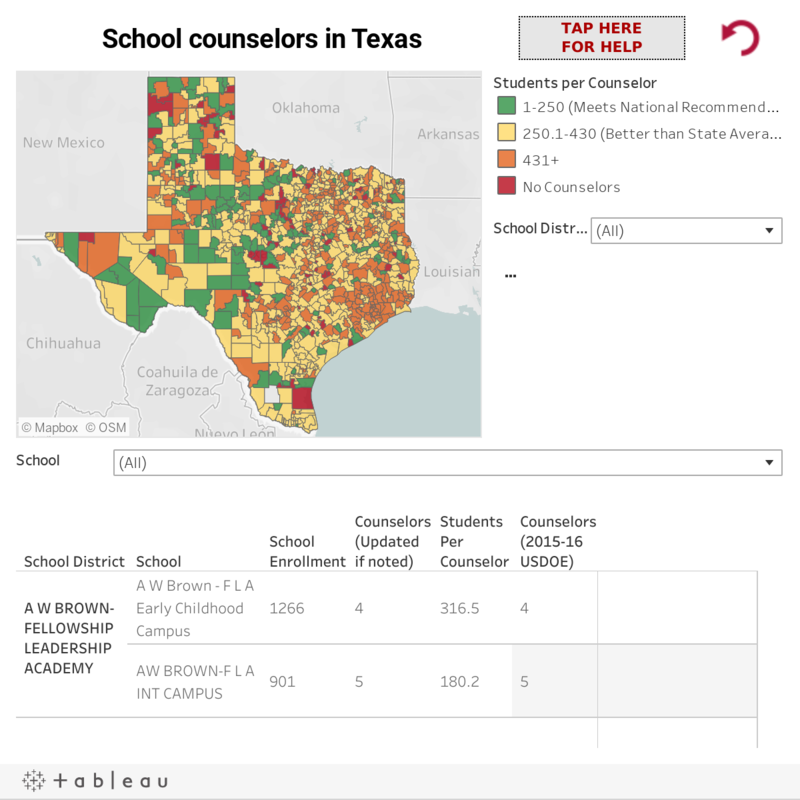 Current counselors in Texas schools are often overburdened with non-counseling duties. Last year, Frisco ISD took a hard look at how their counselors spend their time. 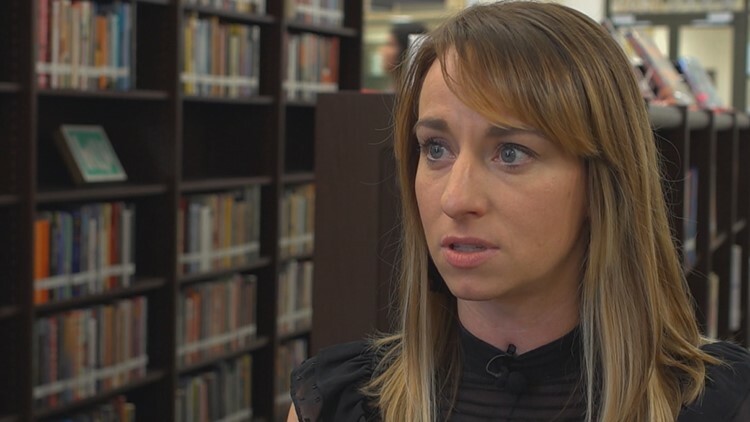 “What we found is that about a third of the counselor's school year was in non-counseling related activities,” said Dr. Stephanie Cook, Frisco ISD's director of guidance and counseling services. If you don't have counselors on campus to monitor students social and emotional needs - then who is? said Independence High School’s counselor, Heather Mayfield. This year, Frisco hired 38 new staff members to take on those non-counseling duties, and give counselors back time to spend one-on-one with students. Gov. Greg Abbott lauded Frisco in his recent school safety action plan, which highlights the importance of school counselors and “emphasizes the need to prevent security threats in advance through early identification of students who are in crisis,” his report states. The state education code says it’s primarily the school counselors’ job to do that. “If I don't have time to listen to a student's story, to get help for the family if they need help, they get frustrated, they get angry at the school system, they feel like they don't matter,” Everest said. It’s those situations that can lead to violence, she said. But after shootings in Santa Fe near Houston and Parkland, Fla., Everest said districts don’t rush to hire counselors. Instead, she said, they fortify schools by adding metal detectors, security cameras and stronger doors. “No school fortification, no extra cameras, no security doors, none of that would've done anything except alter the plan,” Stark said. Ultimately, Stark saw his way out of that darkness. He didn’t follow through with his plan. Stark now spends his days telling his story and offering support to those he meets, online and off, who are in a similar dark place. Questions or comments? Email investigates@wfaa.com about this story. Here is the American School Counselors Association most recent report on the current status of school counseling nationwide. To see how your Texas school district ranks and a true breakdown of the numbers, go here. And to see how they rank nationally, go here.